Most of the current games don't got beyond just "looking around"
Real virtual reality is now a reality, and what we’re getting here with the Rift is only the beginning. While far from prefect, the Rift's implementation is a good step forward and will only get better in time as the ecosystem continues to evolve. The concept and execution of virtual Reality has been around for a long time now, but that sense of realism was never achieved by the solutions that preceded today’s offerings. Well, that gap has been finally breached, and the first one to come out of the gates into the open arms of consumers is the Oculus Rift. Revolutionary, it’s the perfect way to describe how virtual reality will be, and is currently changing our lives, so there’s a lot of anticipation to see what the Rift has in store for all of us – in the way that it transforms our relationship with our PCs. We’ve spent a solid month experiencing what the Rift has to offer, but at the end of the day, the question remains whether or not it’s the VR experience we’ve been craving for. Indeed, it had a head start out of the bunch, excluding those mobile VR solutions of course, so it’ll be intriguing to evaluate whether the costly investment in purchasing it has some validity for consumers. Let’s jump right in and find out! Given that it’s the first high profiled VR solution to hit the market, it’s really tough to draw any comparisons with its design. In fact, the only viable alternative for a comparison is the HTC Vive. For us, the Oculus Rift’s design is one that took some convincing over a period of time, but at the end of the day, it’s a well thought out, refined product that’s chock full of surprises everywhere you look. At the beginning, we didn’t think much of its design and aesthetics, but as we continued to try out other headsets, the more we began to realize that Oculus invested quite a bit of time with its design. Ample development time really helped to forge the Rift’s final design identity, one that transformed it from the exposed sidings with the v1.0 development kit, into the minimalistic design we have presently. 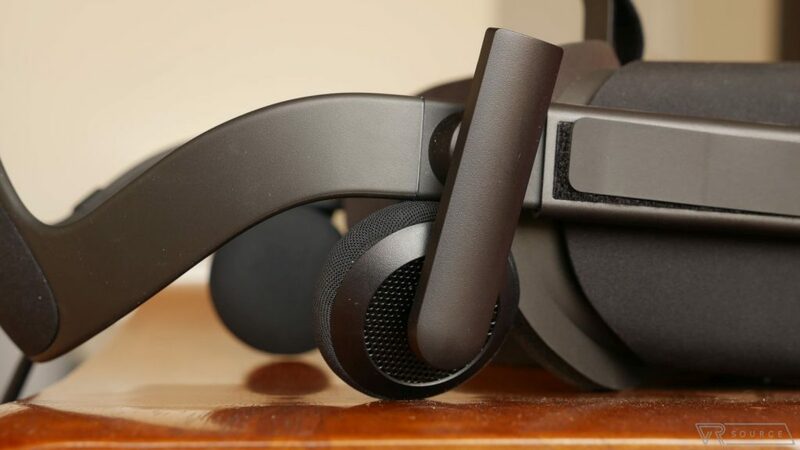 Sure, the vast majority of the headset appears to be constructed out of plastic, which aids in keeping its weight manageable while it’s worn, but the clean-cut lines and solid seams all indicate quality workmanship on Oculus’ part. When we talk about having a minimalist design, the Rift adheres to that to the tooth – more so when it has a hassle-free wire management system. Unlike some of the other VR headsets, the Rift has just one single wire coming out of it; the cord that breaks up into two connections (USB & HDMI). It’s not as bothersome as the Vive’s trio of connected wires and dangling headphone jack, but another thing that makes the Rift so much more ingeniously designed is because it employs integrated headphones. They articulate to an extent, providing enough coverage over our ears. The addition of them just makes it easier to put on/off the Rift. Better yet, they sound pretty good too, as they deliver enough of that 3D audio quality to complement the existing, immersive VR experience. Like we said, the Rift’s design has been meticulously combed over – and you can see that too in how easily it can be adjusted. From the top, to the sides, the Velcro allows for quick adjustment without the need to constantly remove it. 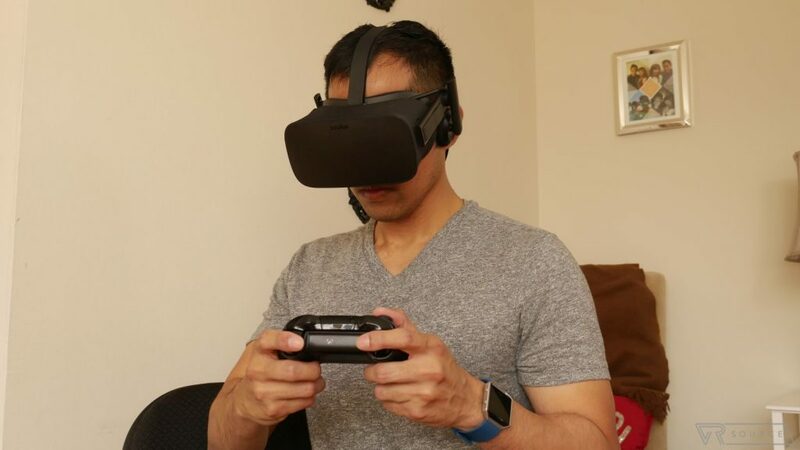 For most of the people that we had try it on, its simplicity and adaptability makes it a headset that doesn’t require a whole lot of constant adjusting, which is great when you just want to slap it on and jump straight into the experiences. On the surface, the Oculus Rift will appear a bit too alien for the uninitiated, but everything about its design makes perfect sense. It’s not stylish, nor is it really riveting to look at, but its ease, integrated headphones, sleek finish, and comfortable fit makes it a headset that’s a good benchmark for everything else going forward. Although some people will believe that there’s a high degree of complexity when it comes to setting up VR systems, the Oculus Rift is surprisingly as simple as they come – much easier than the HTC Vive as well! Essentially, there are four components that come in the package, so they include the headset, XBOX One gamepad, remote, and IR positional tracker sensor. The latter is especially important, since it’s used to track the direction and spatial movement of the headset by LEDs that are embedded throughout the headset. There’s really nothing ornate about the IR sensor’s design, but it’s meant to be placed directly in front of you as you’re using the headset. As for the remote and gamepad, they’re necessary in navigating through the Oculus Home interface, as well as in the experiences and games. Not all apps and games require you to use the gamepad, but the ones that do will notify you as soon as the app/game commences – so there’s no way to continue on without it. The remote, though, is there for all the other times you don’t feel like holding onto the gamepad. Knowing the complexity behind what entails virtual reality, we’re impressed by how relatively simple it is to set up the Rift. Whereas it required us roughly an hour for the initial hardware setup for the HTC Vive, the Rift was done in a mere 15 minutes top – excluding the software installation and updates, of course. After connecting the cords and wires to our PC, and then plopping down the IR sensor in front of where we’re going to be using it the majority of the time, we were up and running in no time at all! You wouldn’t know it, but there’s quite a lot of tech involved in order for the Rift to deliver its VR experience. All throughout the headset, hidden behind the fabric mesh, are LEDs that are tracked by the IR positional tracker. Combine that with its accelerometer, gyroscope, and magnetometer, the Rift is capable of tracking positioning and spatial differentiation. Finally, the displays in the headset each feature a resolution of 2160 x 1200 pixels – with a refresh rate of 90Hz. So far, the VR experience that most people can relate to is that of Google Cardboard and its incarnations (think Samsung Gear VR). Unlike those solutions, the Oculus Rift offers true virtual reality because you’re able to move about in free space – to an extent obviously. Rather than just sitting down and just looking around, the Rift’s VR experience goes a bit further because it’s able to recognize other movements such as leaning forward/backward, as well standing up/stooping down. Despite this higher degree of articulation and movement, it’s still confined to a small space, since the single IR positional tracking sensor’s field of view isn’t as vast as the HTC Vive’s implementation. Don’t let that discourage you, mainly because there are still some experiences that showcase the Rift’s ability to be fully immersive in the experience. The initial setup demo is a fantastic example of that, especially the T-Rex scene in the corridor, because you’re really able to feel its roar and feel like you’re right there in the thick of it all. And we really have to give credit to the Rift’s headphones, which works in tandem to enhance the already blissful experience of VR. The initial T-Rex demo, along with some other experiences that are available for download through the Oculus Home, require you to stand up to experience them – as opposed to just sitting down. Another example of that is the computer-animated work from Oculus VR’s new film-innovation lab, Lost, which features the Iron Giant. Rather than watching a short film, you’re thrown into the world, where we’re able to look around, walk to an extent, and visualize everything that comes around at is. It’s experiences such as this that shows the Rift’s hidden gem in being able to engross users into its VR experience. 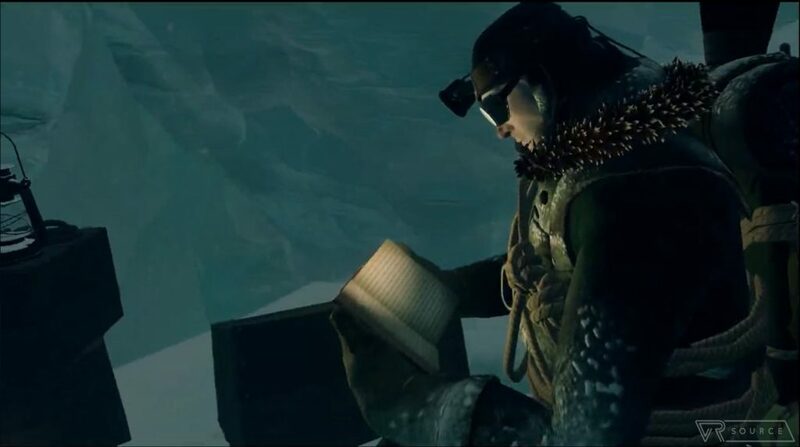 However, these type of experiences are still in short supply, as they’ve been mainly limited to these “experiences” – rather than full blown games. 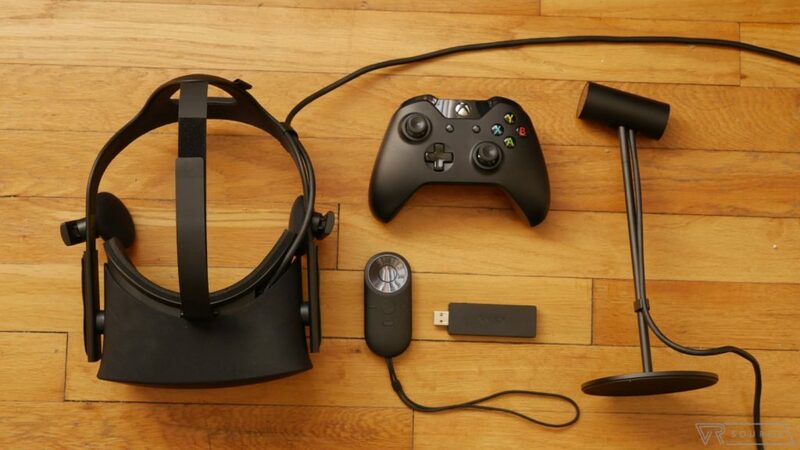 So far, the majority of the games we’ve played with the Rift were pretty easy on the mind. Many of the VR experiences that require us to stand up and absorb the environment manage to paint a convincing argument for the captivating experience that VR has to offer. Unfortunately, though, there are games that can quickly become nauseating to play – to the effect of making us feel ill for a few minutes. From what we’ve experienced, it seems as though first person games seem to have the most adverse affect on how we feel with virtual reality. Games like EVE: Valkyrie and Elite Dangerous just seem to overload us with too much motion and movement, as the combined feeling of looking around and the ship moving in space, causes a bit of motion sickness just after a few minutes of play. Speaking of games, we’ve been able to play a handful of them during over the course of the last couple of months. For the Oculus Rift, we certainly will admit that its library is home to a diversified bunch of games that covers a decent scope. There even a few exclusives as well for it, which attempts to help in proliferating its reputation in the gaming world. Unlike those short experiences we’ve talked about in the previous section, the games for the Oculus Rift require little body movement – reserving most of it to the head. Take for example EVE: Valkyrie or Elite Dangerous, space shooters that put you in the cockpit seat, which focuses most of the action in front of you – while rotating your head allows you to get a quicker look of what’s around you. Generally speaking, we’re just sitting in front of our computer and tracking enemy fighters by looking around. That’s it! While the graphics are amazing and the action is intensive, it just don’t feel like they’re fully utilizing the VR element that the Rift is capable of achieving. That sentiment also extends to other third person games we’ve played, such as Lucky’s Tale or the high-profiled game in Edge of Nowhere. Even though the two are different, the camera in both games remains fixed usually behind our character. Sure, it’s different from traditional third person games because we can look around the environment at any given time, but it still feels as though there’s not enough of that virtual reality implementation. There are, however, a few titles that we feel requires us to do more than just “look around” and “absorb the world” we’re thrown into. An exclusive action-adventure title for the Rift, Chronos, makes it necessary almost each and every time to explore new areas our character gets into, just because if you don’t fully inspect them, you might be setting your character into a tougher battle against an enemy. 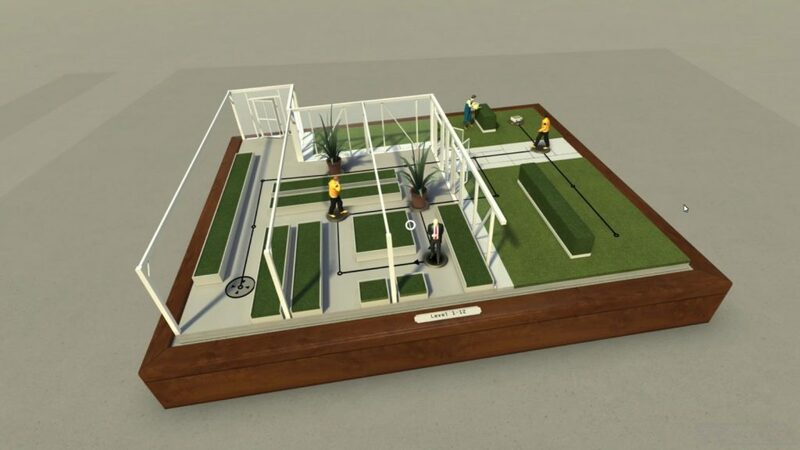 Essentially, you need to peek around, look, and analyze each area in VR, in order to come up with a proper plan of attack – rather than just diving straight in, facing unfavorable odds. In all fairness, most of these games can easily be played in standard, non-VR fashion. Some make great use of the virtual reality experience, but others are rather static in their execution. However, we feel as though things will be ramping up, as developers continue to perfect and master the art of creating games from scratch for the VR world. Just this past E3 2016 is evidence enough of that, since many of the titles we checked out seem to deliver even more immersive experiences that make you feel more part of the game. 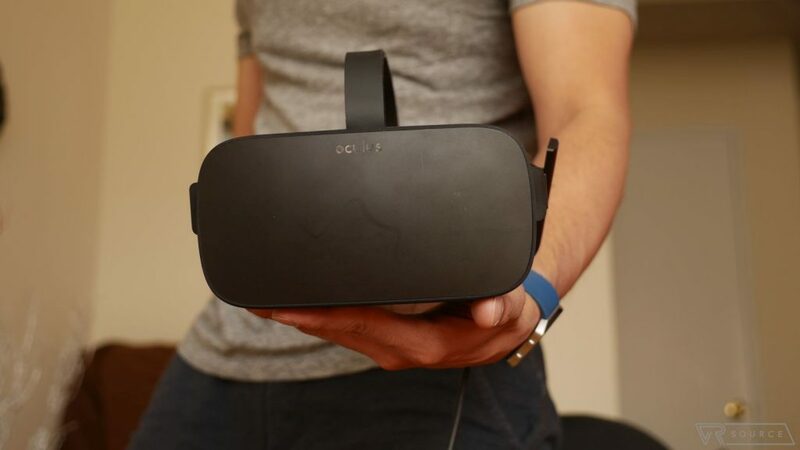 In fact, the use of the upcoming Oculus Touch controls will enhance the Rift by adding a higher level of interaction that many Rift games are currently lacking. 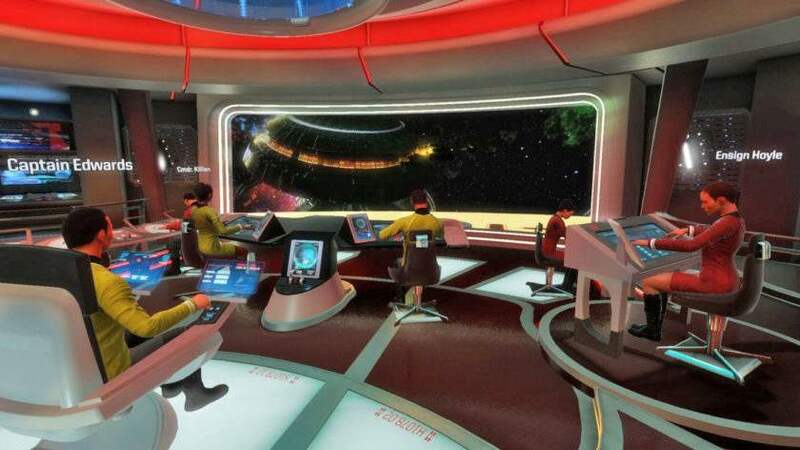 We’ve experienced this first hand ourselves, in games like Star Trek: Bridge Crew, which makes fine use of the Oculus Touch controllers to provide more dexterity of our hand and fingers in the VR world. 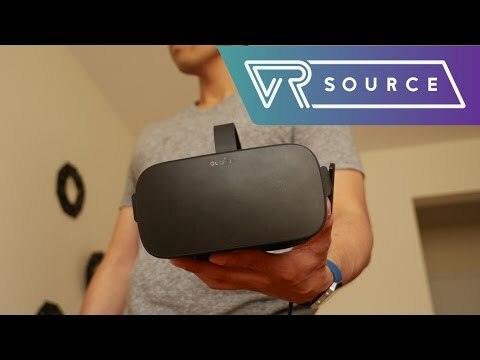 Excitement and buzz has been on the side of the Oculus Rift ever since the first whispers of it came around, and now that it’s finally here and available to the masses, it’s intriguing to see how VR will continue to gain notoriety. Of course, the investment in picking it up will naturally make some folks a wee bit hesitant, but the $599 cost will more than likely be an easy sell for early adopters – especially PC gamers who already have high-end rigs that can handle VR. For the rest of us, however, it’s going to be a tougher sell given that there are still only a handful of games that were developed exclusively with VR in mind, as most of the games are usually ports from other mobile VR platforms and PC games. The cost alone is something that people will mull over, but we feel as though it’ll be more of an argument to pick up the Rift once games and experiences are optimized to work with the Oculus Touch controllers. Plus, we’d hope at some point that the price will eventually drop, seeing that there are already alternatives on the horizon that are going to be more budget-friendly. Real virtual reality is now a reality, and what we’re getting here with the Rift is only the beginning. Obviously, it’s not to the level of what we see in many sci-fi movies, but the practicality of the Rift’s implementation is an absolute step up to what we’ve had in the past.